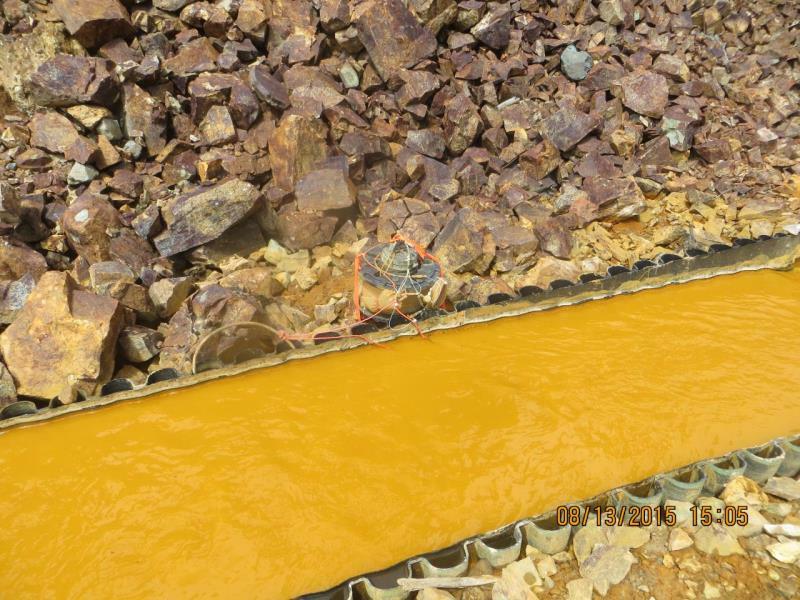 Water coming from the Gold King Mine near Durango in August 2015. Recently appointed District 26 Rep. Dylan Roberts, D-Eagle, has introduced a bill he says will help make sure maintaining water quality is a priority, even after hard-rock mines shut down. Colorado House Bill 18-1301 aims to protect water quality from the adverse impacts of mining by requiring reclamation plans to set an end date for water quality treatment to comply with water quality standards. The bill would also require mine operators to prove they have enough financial backing to protect water quality and they could not use self-bonding as a financial assurance. Roberts’ co-sponsor on the bill is District 59 Democrat Barbara McLachlan. Her southwestern Colorado district was the site of the Gold King Mine wastewater spill. In August 2015, Environmental Protection Agency workers accidentally released 3 million gallons of toxic water contaminated with cadmium, lead, arsenic, iron, and copper into Cement Creek, a tributary of the Animas River. According to the Colorado Division of Reclamation, Mining and Safety, there are 148 draining mines statewide that are likely to impact water quality but do not have active water treatment. There are 2,300 abandoned mines statewide and 1,800 miles of streams impacted by mine-related pollution, according to the Colorado Department of Public Health and Environment. But the bill, should it become law, would not apply to these existing mines. It would only change new mining operations. Reps. Roberts and McLachlan recognize the importance of hard-rock mining to both Colorado’s economy and heritage. Roberts said he is confident the bill will find broad bipartisan support. Environmental organization Conservation Colorado supports the bill. Conservation Colorado water advocate Kristin Green said it would help ensure clean drinking water across the state. But not everyone agrees this bill would be good for Colorado. Colorado Mining Association President Stan Dempsey Jr. said the bill is an effort to ban new mining in the state. He said proponents cannot point to a single incident that demonstrates the need for the bill and that the Division of Reclamation, Mining and Safety already does a good job regulating mines. The Colorado River District, a water policy and planning agency for the Colorado River Basin, is taking a more nuanced stance. Chris Treese, river district external affairs manager, said the organization supports the common goal of maintaining Colorado’s water quality. The river district board voted Thursday, March 29, to support the provision of the bill that requires water quality protection to be included in the calculation of a mine operator’s reclamation bond. But the river district does not support the provision that would set an end date for water quality treatment. This is one of the first bills Roberts has sponsored in his first session in the Legislature. In October, he was appointed to fill the seat vacated by Mitsch Bush. His seat is up for re-election in the fall. House Bill 18-1301 was introduced into the House Agriculture, Livestock and Natural Resources Committee on Monday, April 2, and then referred, unamended, to the Committee on Finance. Editor’s note: Aspen Journalism is collaborating with the Vail Daily on the coverage of water and rivers. The Vail Daily published this story on Wednesday, April 4, 2018.